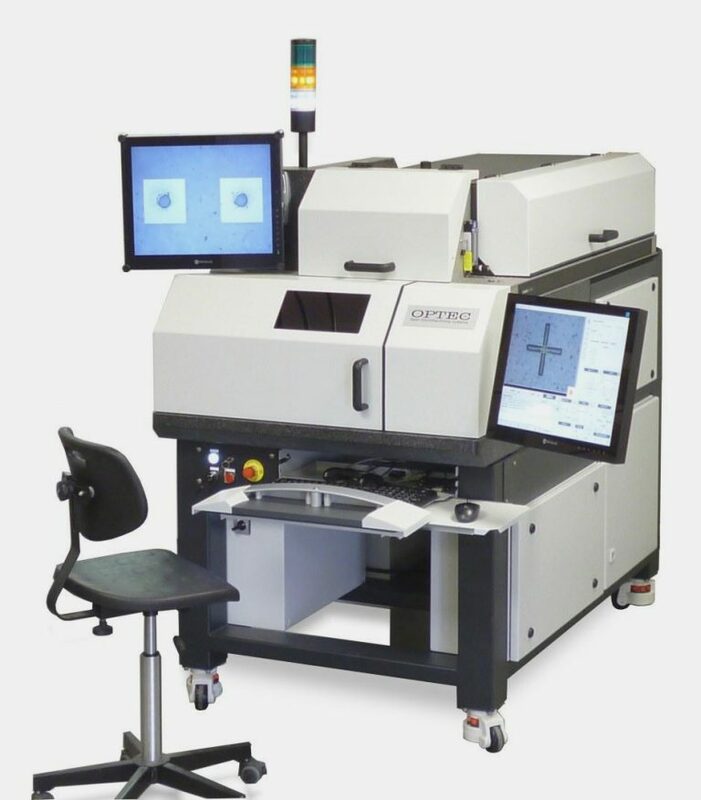 MicroMaster is the most versatile, advanced, turnkey excimer laser micro-machining system in the industry equipped for R&D through production applications. 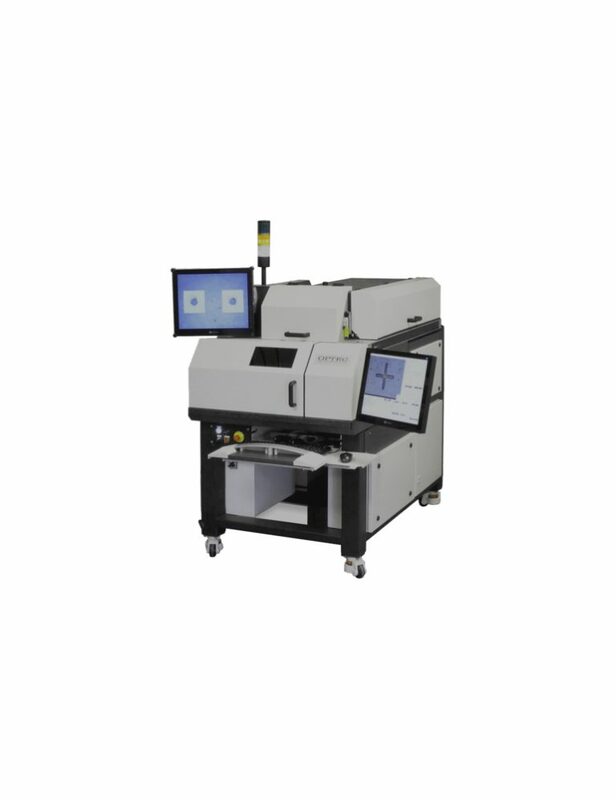 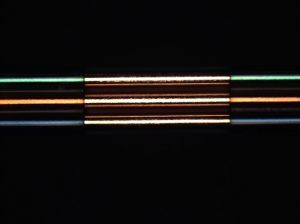 Optec’s MicroMaster can be fitted with the latest self-contained, compact, deep-UV excimer laser with short pulse length (~6 ns) or a large-format (external) excimer lasers depending upon your application and throughput needs. 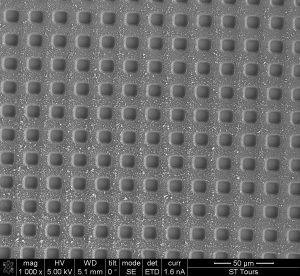 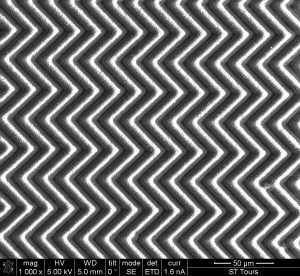 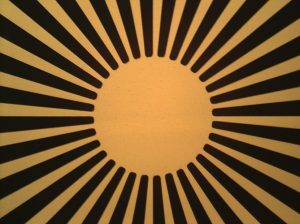 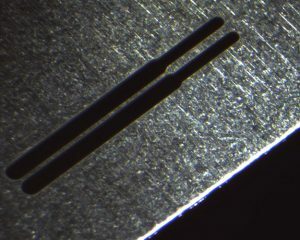 Micromachining down to the micron (µm) scale is made possible by means of a mask projection technique characterized by controlled depth penetration, sharp, steep edges, uniformity, minimum heat affected zone (HAZ) and minimum debris. 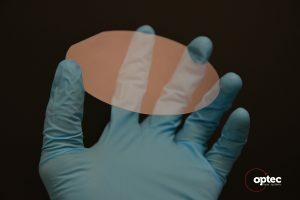 Examples of the advanced features and utility of the MicroMaster include continuously variable energy density from 0,25 – 10J/Cm² to suit the material being processed and our new “intelligent aperture” option that combines fixed masks such as circles and triangles with continuously-variable, software controlled, motorized apertures create an unlimited combination of ablation shapes and sizes.